Origami. Photo by Dominique Jouxtel. Contemporary dance made a glorious mark on pop culture last week, with two memorable music video collaborations. Use today to catch up on offerings from Beyonce and Jay-Z, who asked Sidi Larbi Cherkaoui to choreograph part of their new video at the Louvre, and Florence and Machine, whose Big God includes choreography by Akram Khan. The Bang Bang Bang Group makes experimental live work that smashes together dance, theatre and performance art to take a bright-eyed, deadpan look at the contemporary world. 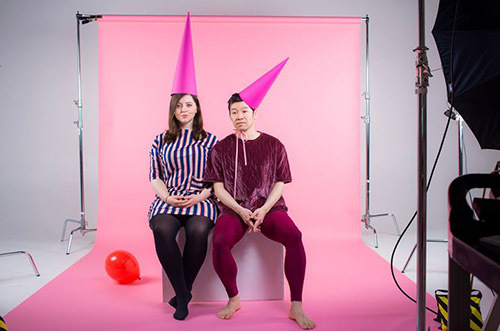 Head to the Pleasance Theatre for a preview performance of their latest work, Shame: A Double Bill, which ventures deep in to the heart of contemporary shame politics, with choreography by Quang Kien Van. The celebrated Nederlands Dans Theater 1 returns to Sadler’s Wells with two works by Sol León and Paul Lightfoot, alongside two UK premieres: the urgent and political The Statement by Crystal Pite with playwright Jonathon Young, and Woke up Blind by Marco Goecke, which takes inspiration from the music of Jeff Buckley. Dancers of the Royal Ballet School take to the Holland Park Theatre to present a mixed programme of classical ballet, contemporary and character pieces, including works by August Bournonville, Marius Petipa, Robert Binet and Andrew McNicol. Gravity-defying dancer Satchie Noro performs an unlikely duet with a giant shipping container in Origami, an awe-inspiring spectacle inspired by the Japanese art of paper folding (pictured above). See it at Orangery Lane Car Park as part of Eltham Unpacked for Greenwich+Docklands Festival. Canary Wharf swaps it suits for dance shoes with Dancing City, an afternoon of free outdoor dance showcasing performances in the parks, piazzas, waterfronts and shopping malls of the financial district. Highlights include performances from Ballet Black, Humanhood, Gandini Juggling, and Dedicated to…, a touching portrayal of female strength and friendship by Candoco Dance Company (pictured). 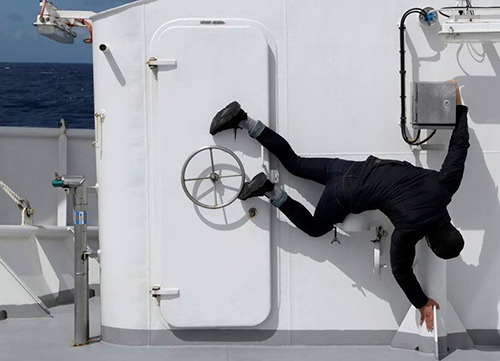 Two months at sea studying volcanic islands in the sub-Antarctic provided the inspiration for dance artist James Batchelor and visual artist Annalise Rees to create Deepspace, an intriguing performance installation presented by Chisenhale Dance at Hackney Showroom. As an audience member, you’ll be encouraged to move through the space with the dancers in this intimate performance examining our curiosity for the unknown.